IN the year 1893 while I was a student reading in the Presidency College, Madras, I had the good fortune of coming into personal contact with Swami Vivekananda. It was shortly before he left for America to attend the Parliament of Religions at Chicago. He was then unknown to fame but his unique personality attracted a considerable number of people — a good proportion among them being students — to his informal talks. I do not recollect seeing at these meetings any of the leaders of Hindu society in Madras then, but there were students, teachers, second grade officials and vakils. 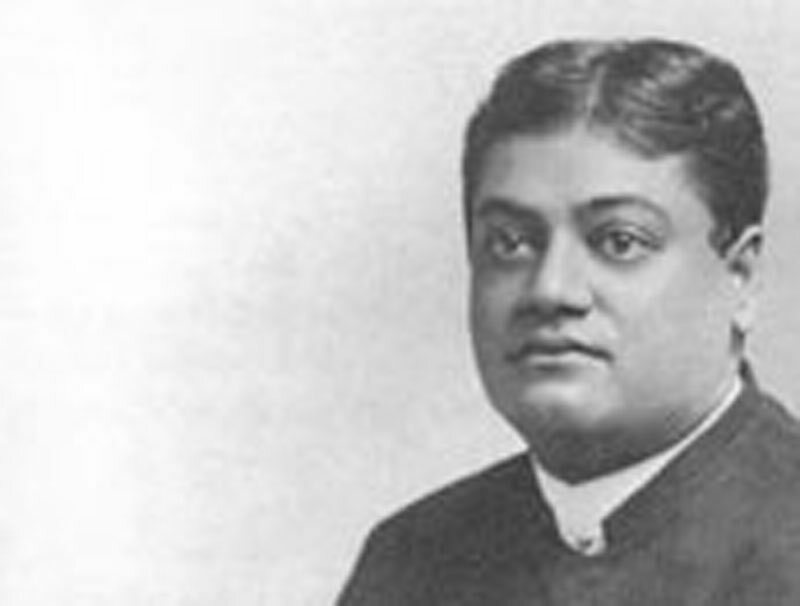 It was after the Swami returned from America in 1897 with a name and a world-wide fame that the leaders and high grade officials and people used to flock in hundreds to listen to his talks and lectures. He was residing then (1893) with Mr. Bhattacharya (a Bengali gentleman, then Deputy Accountant General at Madras) in a house situated at a short distance from the southern end of the Marina. I used to go to this house in the evenings with some fellow students to listen to the Swami. We used to squat in the orthodox fashion very near the Swami on carpets spread on the floor. Vivekananda would smoke while talking. His talk touched on a large variety of subjects. And it was delightful to listen to him. Once he said to a number of young students in the audience that it was their first duty to cultivate physical strength and health, "You may have the Gita in your left hand but have a football in your right." He expressed on one occasion the view that it was the men who were physically weak that yielded to temptations easily, and that those with plenty of physical vigour and strength were far better able to resist temptations and exercise self-conirol than the former. At this time (1897, after his return from America) Vivekananda was residing in Castle Kernan, the well-known house on the Marina. When I first went to Madras it was known as the Ice-House; then the late Mr. Biligiri Iyangar bought it as his house; and he named it Castle Kernan after Mr. Justice Kernan. There was a "Kernan -maze" in its compound which some of us students used to take pleasure in entering and getting lost.